From a Day at the Office to a Fun Night Out, Pink Blush is My Go-To for Fashion Choices! 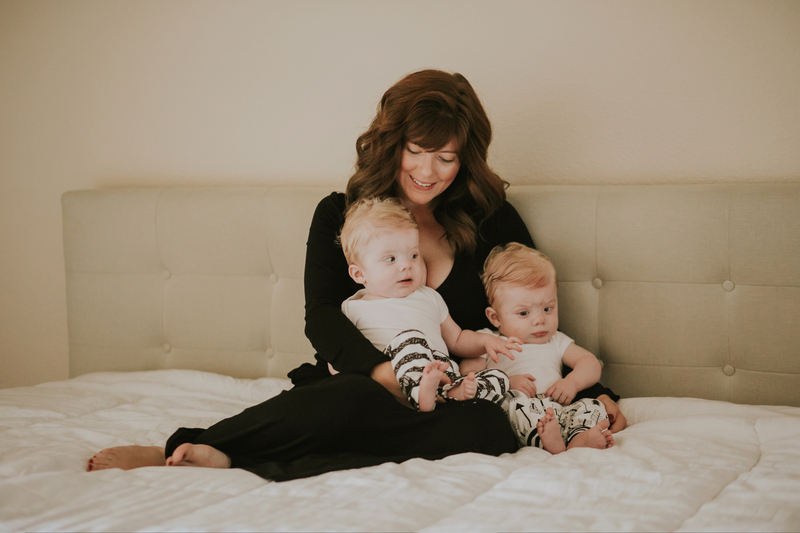 This trendy online boutiquesent me a gorgeous outfit by Pink Blush Maternity & Women’s! PinkBlush is one of my absolute favorite stores to shop at! Here in Idaho, we have some pretty crazy changing weather. Despite being the summertime, we had a low of 55 degrees the other day with an even chillier temperature for the night time after the rains had come and gone. That was the perfect day to debut this pretty outfit. 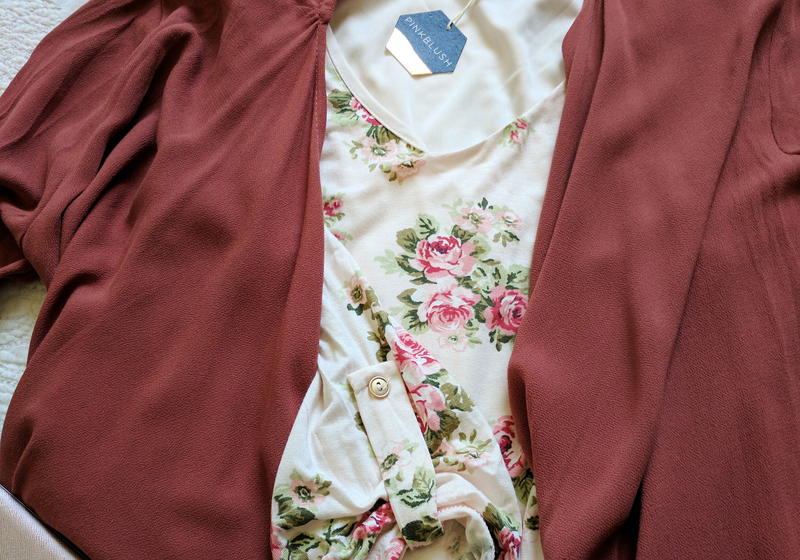 I chose this outfit because I felt like the cardigan would be light weight for a chilly movie theater, early mornings or a night out. The material was perfect for all of these things and I loved the handkerchief cut of the fabric which added dimension to my overall outfit. 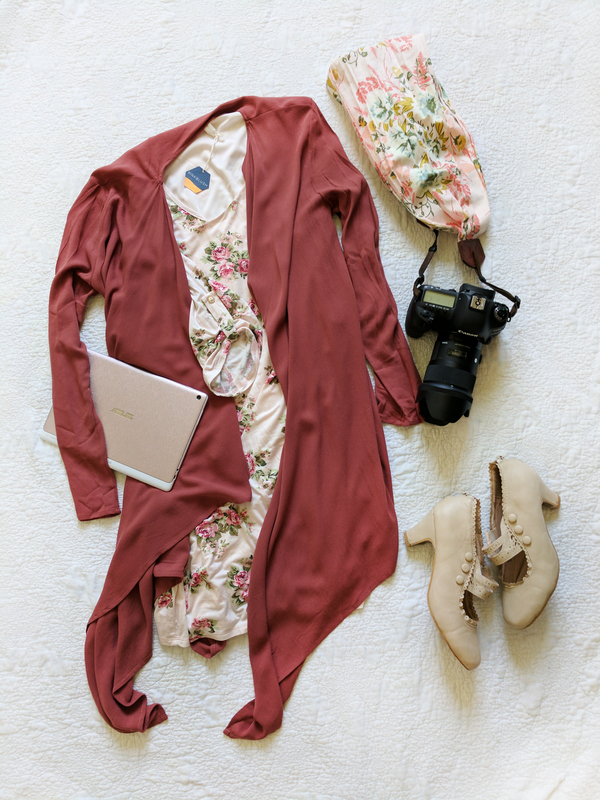 The cardigan was labeled as coral on the website, however, when I received it, I felt like it was more of a darker dusty rose color which happened to compliment the dress that I ordered perfectly anyway. The cardigan is light enough to go over just about any other t-shirt or dress which is great for mixing and matching late summer outfits into the early fall. 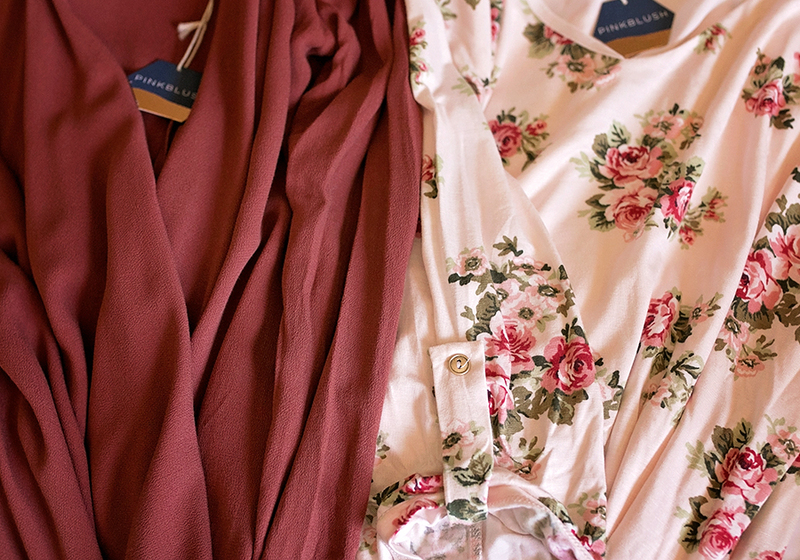 I also purchased a floral dress which had a gorgeous pattern, beautiful colors and roll-tabbed sleeves. I feel as though this dress looks great with or without the cardigan. I especially loved the gold buttons on the roll-tabbed sleeves, I feel as though it was the perfect touch to the dress to add a little bit of pizzazz. This dress is a shift style dress so it fits just about any body-style. 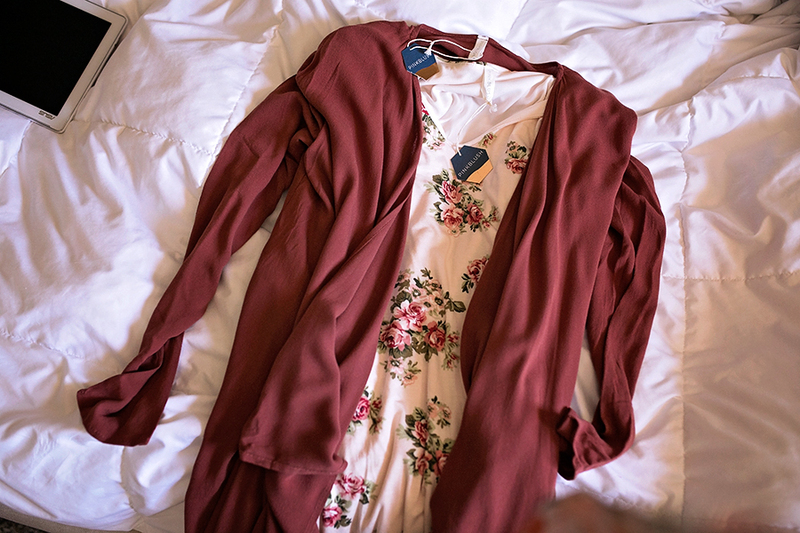 The dress is great for a number of occasions, I think it could even be worn to an outdoor wedding in a casual setting along with countless other setting options.